Voted for Three Consecutive Years! Since 2010, Doggyland Daycare & Boarding has been your trusted local source for safe, comfortable and kennel-free boarding for your dogs and cats. When you leave your pet with us, you can rest assured that your furry friend is with reliable professionals in a clean, secure and fun environment. Locally owned and operated, Doggyland Daycare & Boarding is the premier source for doggy daycare in Spokane Valley, WA. We know you want the best care for your best friend, so that’s exactly what we provide. We offer short-term and long-term overnight boarding, daycare, grooming and certified training for your pets—both cats and dogs. We are committed to the comfort, safety and enjoyment of your pet. Our facility features indoor and outdoor areas which your dogs can pass freely between, ensuring they remain comfortable any time of year. Your pet’s surroundings are only cleaned with natural disinfectants, to keep our location odor-free and safe. We are locally owned and operated, established in 2010. We are open 365 days a year for your pet’s convenience. We offer daycare and short and long-term overnight boarding for both dogs and cats, as well as grooming and training. 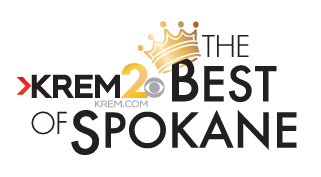 We were voted the best of Spokane in 2012, 2013 and 2014. 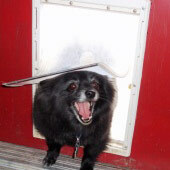 Our customers stay connected to their pets via Facebook photos! Sign your dog up today! Have multiple dogs? Sign them up today! Sign your cat up today! Pamper your pet with safe, affordable, reliable care at Doggyland Daycare and Boarding—the ultimate source for dog and cat owners.